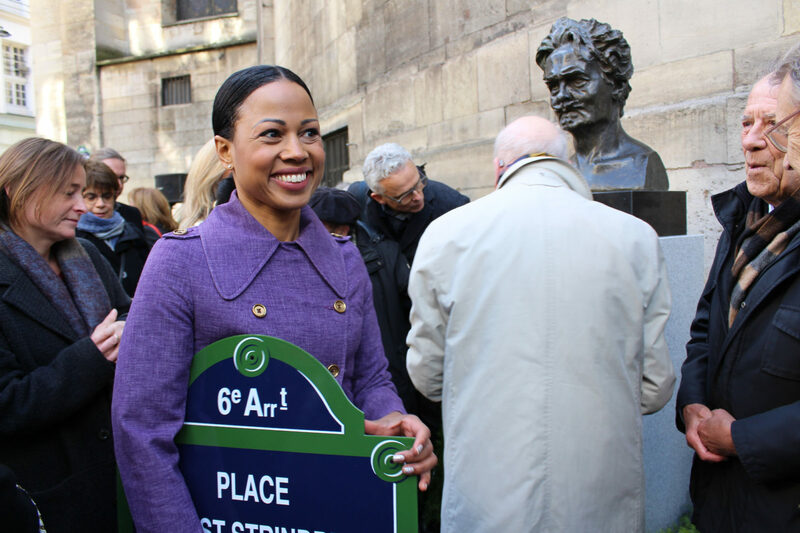 The city of Paris celebrates the great Swedish author August Strindberg by naming a square after him and placing a bust at the scene. Culture Minister Alice Bah Kunke was in place to hold the inauguration speech. The square, located next to the north-west facade of Église Saint-Sulpice in the 6th arrondissement, was opened this week as Place August Strindberg. A street sign with the author’s name and a newly casted bust made by Swedish sculptor Carl Eldh (1837-1954) from 1905 was unveiled. Strindberg lived in Paris for several periods of his life, and two of his most important works, Inferno and A Fool’s defense, were written directly in French. The project with its own square for Strindberg, initiated by the translator Jacques Robnard and the journalist and Sweden-connoisseur Guy de Faramond and the bust initiated by the Swedish Embassy in Paris, has been funded by the Barbro Osher Pro Suecia Foundation, Karl-Otto Bonnier, Gustav VI Adolf’s Foundation for Swedish Culture and the Swedish Academy. Carl Eldh’s studio in Stockholm has been the main partner and the bust has been cast in original forms by Herman Bergman’s Art Foundry in Stockholm. In connection with the inauguration, the Swedish Institute and Odéon / Théâtre de l’Europe organized a reading of selected Strindberg texts related to Paris.